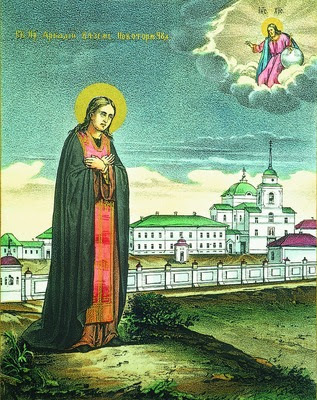 Saint Arcadius of Vyazma and Novy Torg was from the city of Vyazma of pious parents, who from childhood taught him prayer and obedience. The gentle, perceptive, prudent and good youth chose for his ascetic feat of being a fool-for-Christ. He lived by alms, and slept wherever he found himself, whether in the forest, or on the church portico. His blessed serenity and closeness to nature imparted to the figure of young Arcadius a peculiar spiritual aspect and aloofness from worldly vanity. In church, when absorbed in prayer, Saint Arcadius often wept tears of tenderness and spiritual joy. Though he seldom spoke, his advice was always good, and his predictions were fulfilled. An experienced guide, Saint Ephraim the Wonderworker of Novy Torg (Jan. 28), helped the young ascetic to avoid spiritual dangers while passing through the difficult and unusual exploit of foolishness. After this the people of Vyazma witnessed several miracles, worked through the prayers of Blessed Arcadius, but the Saint fled human fame and traveled along the upper Tvertsa River. 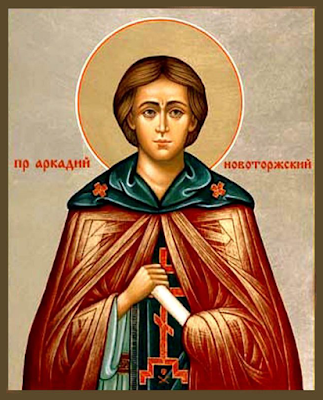 Here Saint Arcadius shared the work with his spiritual guide Saint Ephraim, and with him founded a church and monastery in honor of the holy Passion-Bearers Boris and Gleb (May 2). Entering into the newly-built monastery, Saint Arcadius became a monk and took upon himself the exploit of full obedience to his spiritual father, Saint Ephraim. Saint Arcadius never missed Liturgy and he was always the first to appear for Matins together with his spiritual guide. After Saint Ephraim’s repose (January 28, 1053), Saint Arcadius continued to pursue asceticism in accord with the last wishes of his Elder, dwelling in prayer, fasting and silence. After several years, he also fell asleep in the Lord (December 13, 1077). In 1594, a chapel dedicated to Saint Arcadius was built in one of the churches of Vyazma. A combined celebration of Saints Arcadius and Ephraim was established by Metropolitan Dionysius in the years 1584-1587. The relics of Saint Arcadius, glorified by miracles of healing, were uncovered on June 11, 1572, and on July 11, 1677, they were placed in a stone crypt of Saints Boris and Gleb Cathedral in the city of Novy Torg (New Market). 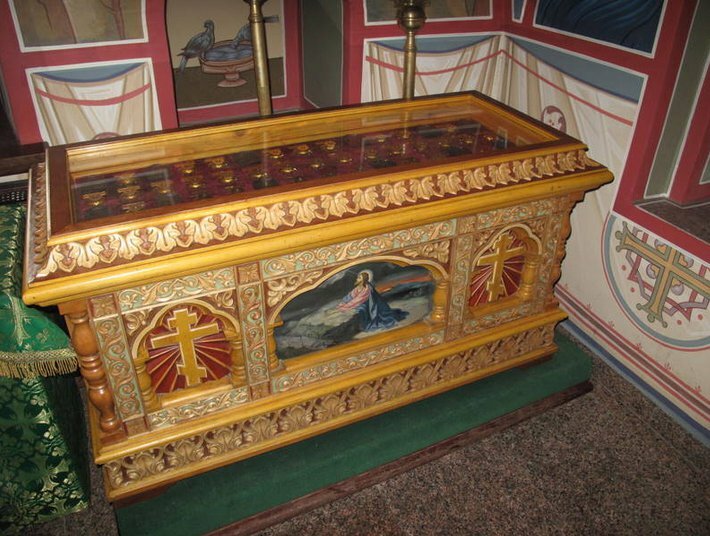 In 1841, the left side chapel of Saints Boris and Gleb Cathedral Church was dedicated in honor of Saint Arcadius. The solemn celebration of the 300th anniversary of the uncovering of the holy relics of Saint Arcadius took place in the city of Novy Torg in July of 1977. 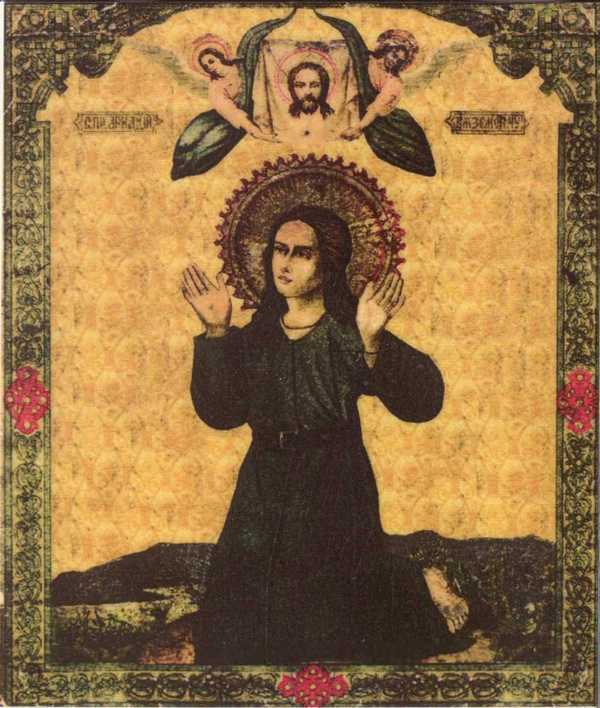 He is also commemorated on August 14 and June 11 (Transfer of his Relics).